It was so close to shops, restaurants, and bars and only a few steps always from the subway. Great place. Service team was helpful, friendly and prompt. Location was excellent. Apartment was well cleaned and feels safe. The place is very spacious and clean. There was a lot of security to the building. 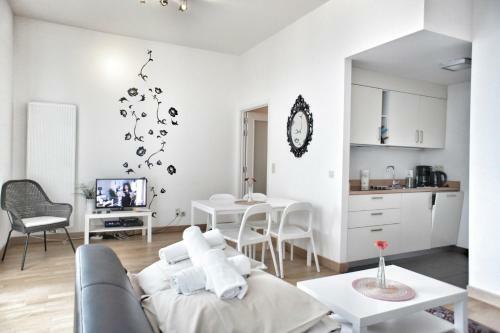 This apartment is located a relatively short distance from the Grand Place and the Mankin pis statue i.e. 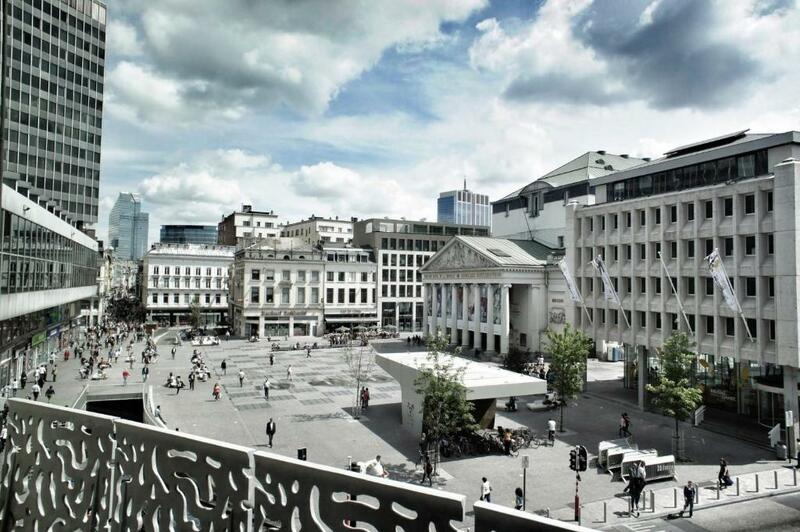 a couple of top sites in Brussels with lots of restaurants in close proximity. This apartment is also close to the train station as well. Location was perfect... It's very close to the Grand Place and attractions near the Old Town.. Located opposite to a mall and a few yards from a metro station it was ideal for all the touristy things... The apartment was huge and is probably one if the biggest for this price... Although from the outside it doesn't appear so, it's extremely comfortable and very clean... Also the apartment was equipped with so many little things like the coffee, sugar, oil, salt which was extremely helpful. Location and size of property. Kind of an odd bathroom set up with dim lighting. Plenty of space, right in the middle of everything. Very comfortable, with solid internet connectivity. Plenty of space. Location was awesome! Beds were comfortable. Very warm, maybe too warm. Love having a full kitchen and dining room. Fabulous location, beautiful apartment. That's about all the positives I can muster. Thankfully, after the elevator broke with me on it, they sent someone the next morning to carry my suitcase down the 4 flights of stairs. We had a great time, the location is amazing, only a few minutes walk to the grand place.The receptionist was very helpful and nice, there's a parking on site for 20 euros per night which is fair. the apartment was really spacious. 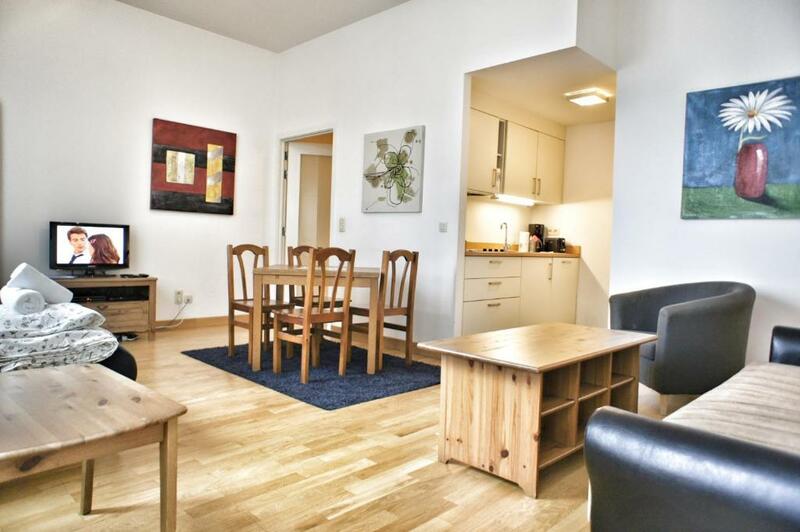 Lock in a great price for Apartments The Opera Residence – rated 8.4 by recent guests! 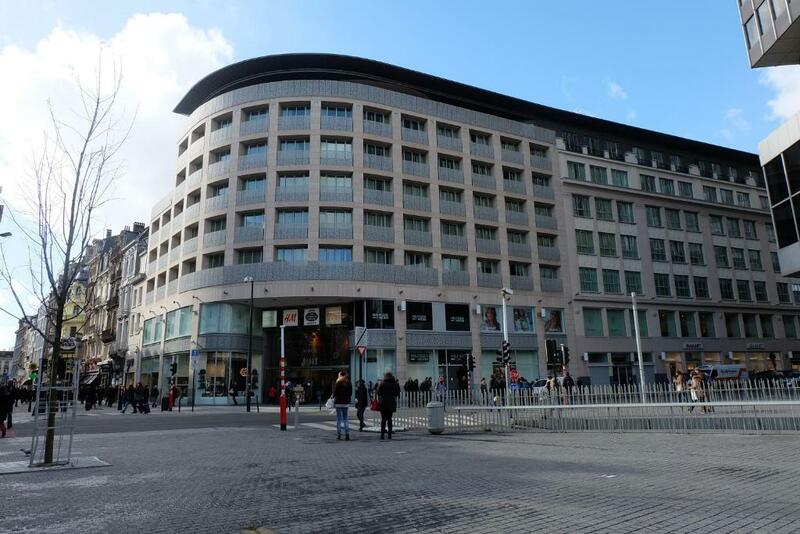 One of our top picks in Brussels.Opera Residence is set across the street from De Brouckere metro stop and within 1,650 feet of the Grand-Place, in a car-free zone. 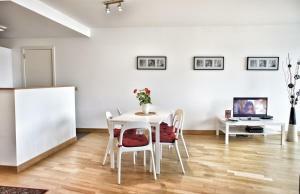 It offers large, self-catering apartments with a flat-screen TV and a kitchen. Each apartment at The Opera Residence has a stove top, kitchen utensils and an adjacent dining area. The living rooms are decorated with bright colors and feature parquet floors and large windows. A seating corner is set up around the TV with cable and satellite channels. The Residence Opera apartments have separate bedrooms with a private bathroom. The famous Manneken Pis statue is 2,800 feet away from Opera Residence. A wide variety of restaurants, bars and cafés are less than 1,650 feet away. Brussels Central Station is 1-minute away by metro. 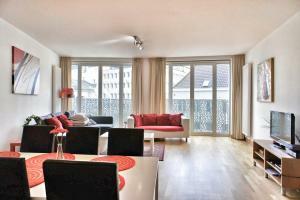 뀐 Located in the real heart of Brussels, this property has an excellent location score of 9.4! When would you like to stay at Apartments The Opera Residence? A cozy one-bedroom apartment with a living room, kitchen and bathroom. The living room includes flat-screen cable TV and a DVD player. A hob, oven and refrigerator are provided in the kitchen. Please note that the configuration and arrangement of apartments may vary. This spacious 2-bedroom apartment includes a balcony and a living room with flat-screen cable TV and a DVD player. There is a kitchen with an electric hob, an oven and a refrigerator. The bathroom has a double sink, a bath and a separate walk-in shower. Elegant flats placed in a classy residence building in city centre Brussels, next to the beautiful Opera House. They're within walking distance to La Grand Place, public transportation, and many well-known venues. You can choose from 1bedroom flats, perfect for 2,3 guests, up to commodious 2-bedroom apartments for up to 6 guests. 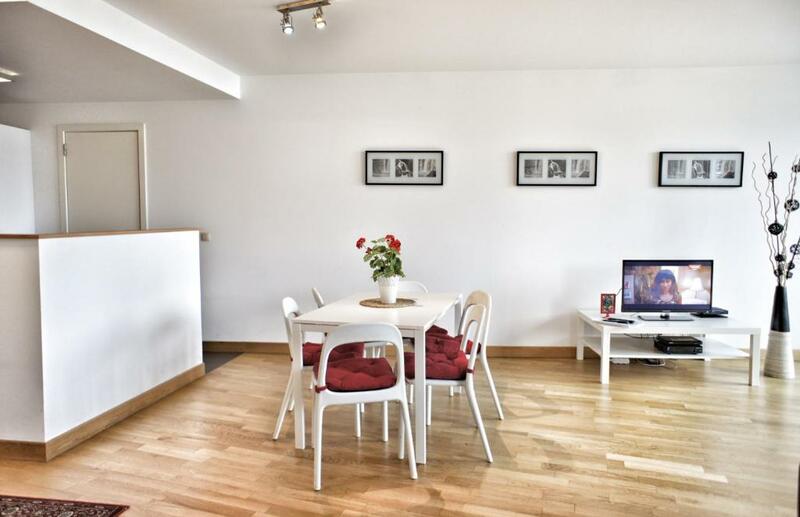 Our apartments have individual furnishings and decor; photos you see on the website are exemplary of an apartment category, not of a specific flat. Welcome to the Opera Residence Brussels! The Opera Residence is managed by the Belgian division of ApartmentsApart, a global property manager, online travel agency, and software developer. Our company manages hundreds of properties around Europe, including Brussels where we've over 130 self-catering apartments of various sizes and decor. We've been on the travel market since 1999. We hope you'll enjoy our Belgian properties. Our main office is in the city centre for your convenience and easy access to your flat. Our local staff support is also there, should you need assistance during your stay. Brussels city centre, full of charming cafees, cozy eateries, and scintillating chocolateries. The enchanting architecture, La Grand Place, and the Manneken Pis statue, all of this and much more will make you fall in love with the city. Our apartments are within easy access to the public transportation as well. So in case you wish to visit the EU zone, it's just a few metro stops away. House Rules Apartments The Opera Residence takes special requests – add in the next step! Apartments The Opera Residence accepts these cards and reserves the right to temporarily hold an amount prior to arrival. Please note that arrivals after 22:00 are subject to a late check-in fee of EUR 30. Please note that a refundable damage deposit of 300 EUR will be blocked on your credit card upon check-in. This deposit will be unblocked upon check-out providing no damages have been caused. It is not possible to pay this deposit in cash. For reservations of more than 2 apartments, terms and conditions vary. The hotel will contact you if this rule applies. This property is located in a car-free zone. Please contact the property for information on car access. Please note that the reception is open from 10:00 until 22:00 from Monday to Friday, and from 10:00 until 18:00 on Saturday. It is closed on Sundays and National Holidays. Please note that check-in and key collection take place at: Rue Grétry 23, Brussels 1000. Please inform Apartments The Opera Residence of your expected arrival time in advance. You can use the Special Requests box when booking, or contact the property directly using the contact details in your confirmation. There was major construction going on outside the building under the window. Though it didn't start until a reasonable hour, jet-lagged travellers don't always keep reasonable hours and should be warned. This was somewhat compounded by the fact that the area, just off a large square and on the edge of a street with cafes and bars, is very noisy much of the night--not constantly but regular intervals of drunken or revelling people shouting down the sound conducting street (regularly woken even with earplugs). Considered sleeping in the bathtub away from the windows.. Also, please notice--the lighting is totally inadequate, plenty of lights but all equipped with, maybe, 25 watts high on the ceiling---the bedside lamps were closer but so dim that I had to use my mini travel flashlight to read.. Not everyone is out at night or watching TV or on their phone though if you are these won't be problems for you. Location was handy, kitchen was adequate with some basic supplies, adequately furnished, comfortable bed, neighbours were quiet. Registration was easy, considerate and very helpful. It need a coat of paint and a bit of sprucing up. The location was brilliant. It was easy to collect the keys. Very spacious apartment close to everything. The wifi was not very good for 5 people. The best point of this apartment is the ubication. It is just in the middle of Brussels. We had almost every thing close to the apartment (monuments, clubs... ). We only took train/bus to get the Atomium and the airport. Very difficult to find the property (no signs). Even the reception is very hard to spot. The walls were dirty, there was a bad smell, especially from the fridge Lots and lots of don’t’s, each one with a quite high fine. They asked for my credit card details because they usually ask for a 300 eur deposit. We only stayed one night. That’s a high deposit for one night. So pay attention on booking when you reserve the place. I didn’t see that note and found out at the reception. Appartment was reasonably big as annonced. With wonderful central location also comes nightlife noise. Big, light appartment in the centre.